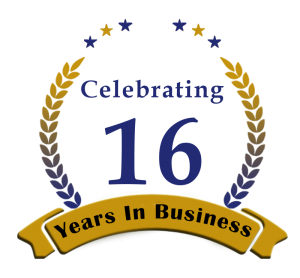 We have been so busy lately that we forgot to celebrate our 16 year anniversary! Well, better late than never. Thank you to all our clients new and old. We look forward to providing another 16 more years of top notch technical guidance and support. Not a Wireguided client yet? Contact us today and see how you can join the club of happy businesses. Many new technologies were announced or rolled out in 2016. Others were on the market before but didn’t deliver as we hoped, were too expensive, or the industry hadn’t fully standardized on them yet. Now that 2017 is well underway and some of these technologies have shaken out, we are ready to put our recommendations forward to help you improve your IT infrastructure and your business. We are big fans of Office 365. There is no other cloud based solution that offers so much for such a reasonable price. One of the top things we love about it is the constant new services that are rolled out for no additional charge. Two of these we really like are Teams and Planner. 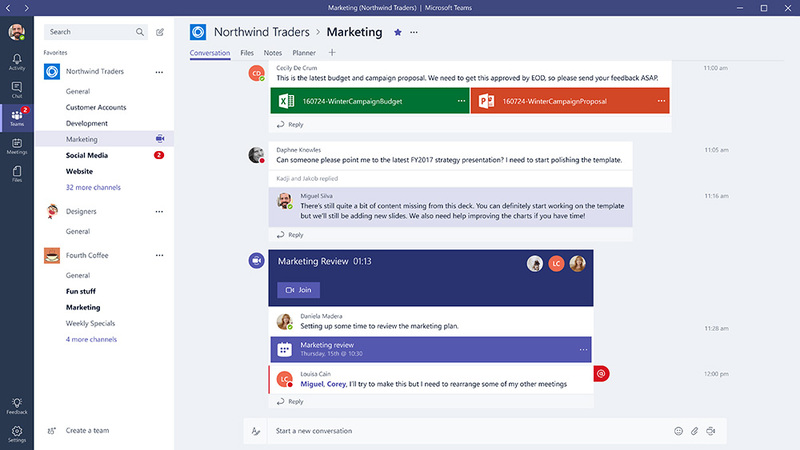 Microsoft Teams is a brand new feature of Office 365. With Teams you can collaborate in a more social and fluid way than just email. It is a “chat based workspace” which allows employees to work together. You can create a group for Sales, Marketing, Finance,etc.. Inside each team would be a group chat from which you can add files, start on the fly video meetings, or view team task lists (via Planner). You can also create channels inside each team to further focus discussions. For more information and to see it in action please Click Here and Here. Microsoft Planner is a shared task list which makes keeping track of group tasks more efficient and visible. Planner allows you to assign, monitor, and manage tasks for individuals and groups. It is integrated with Microsoft Teams to centralize task management and group communication. For more information (video) please Click Here. OneDrive and SharePoint have been around for a bit. OneDrive is Microsoft’s private cloud (e.g., Your ‘My Documents’ folder in the cloud) and SharePoint is the cloud version of a shared network drive. This is one of technologies that did not deliver as we had hoped. SharePoint had many problems with syncing which caused many a headache for us and our clients. Microsoft had know about this and has now released updated software which allows for both products to use the same, upgraded, software. Clients that have been using the new software have reported much improved results so we can now recommend it once again. 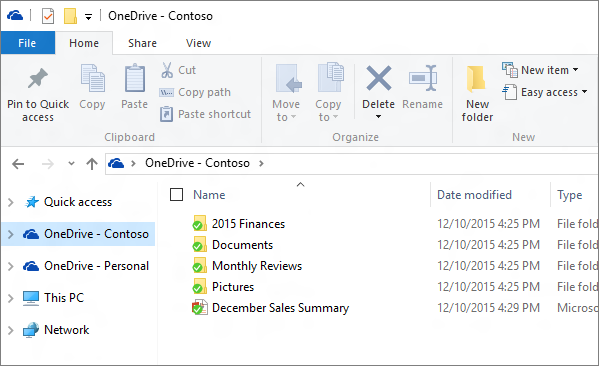 OneDrive is a pretty universal win for all clients while SharePoint needs to be recommended on a case by case basis due to some remaining limitations. For more information Click Here (includes a short video). Quickly and securely share documents with anyone either inside or outside the organization. Utilize web based versions of Word, Excel, PowerPoint to edit documents. Ability to work on document with multiple people at the same time. Stores documents in the cloud instead of on local (possible aging servers). Internal power, internet, or system failures would not hamper access to documents. New technologies were announced in 2016 and others had significant price drops. It is looking like 2017 may be the year for computer upgrades of any 3-4 year old system. Let’s go through the tech and why you should care. 7th Generation CPUs: Intel’s new 7th generation processors allow for much improved video playback, longer battery life for laptops, and the use of new memory/storage technologies just coming on the market. Solid State Drives (SSD): While on the market for a few years 2016/2017 has shown the price of SSDs come down while performance and capacity increase. By replacing spinning disks you speed up your computer and lower the risk of data loss. Monitors and DisplayPort (DP): The old VGA connection is going away fast and DP is the replacement. Better images and ability to connect multiple monitors are the key improvements here. DP enabled monitors have also come down in price where they are now our standard. USB Type C: How many times have you tried to plug a USB based device in only to have to flip it over to put it in the right way. USB Type C fixes that annoyance as well as a whole bunch of speed and capability improvements. 90-95% of our clients’ computer infrastructures have been migrated to Windows 10. We can comfortably say that if you have a Windows 7/8 based computer it is time for an upgrade. Multiple new features have been rolled out since it was released and it looks like each one make this product better. Much improved security features as well as better performance and stability make this a must have upgrade. Streamlined employee onboarding and termination. Improved security via password expiration and enforcement policies. Easier for employees (one login and password). Single Sign On (SSO) ability with various 3rd party websites such as SalesForce. Moves user authentication services from aging onsite server or local account to the cloud. Many business owners do not understand that purchasing a computer from the local retailer is a bad idea. A computer is a computer right? Well there is a reason that system is only $300. Warranty – Retail systems usually have only a 30-60 day warranty and after that you may have to mail your system back for repairs. Can you be without your computer for two weeks? Bloatware – Retail systems are loaded with lots of useless applications which slow your machine down over time. You may end up replacing your PC earlier than you had too because it was ‘old and slow’ when it is really what was pre-loaded onto it bogging it down. Made for cost – Cheap parts = cheap price. Operating System – Retail computers come with the Home version of Windows which may not work if you have a server based environment at the office. Support – Good luck. Most retail manufacturers have no phone based support. If they do, it’s usually not worth the time on hold. Old Tech – Many retail models use older versions of standards such as USB 2.0 and 802.11n. These older standards can mean much slower performance. 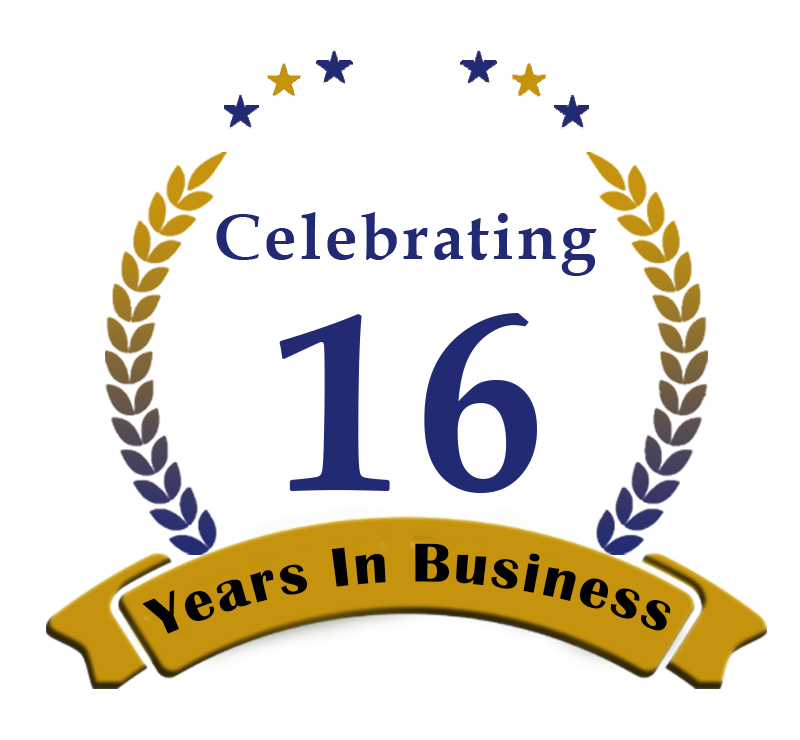 Warranty – Most business computers come with 1-3 year next business day onsite warranties. Something goes wrong and you have a tech at your office to fix it. Also, many business level systems allow you to extend warranties if need be. Streamlined – Very limited bloatware means a much longer time before the need to replace them. Unlike home users businesses should be able to get 3-5 years out of their computers if maintained. Made to Last – Built better and usually with the same predictable parts. Support – US based support is normal and if you go through a partner business to purchase your hardware they can usually get to higher up support to get your issue resolved much faster. Customizable – Many vendors have websites where you can customize your systems for your specific business needs. For example, if you still need Windows 7 you can still get it pre-installed. We have had great luck with Dell products for many many years (we’re Dell Partners). The Optiplex line is great for desktops (some as small as your hand) and the Latitude line is known for its solid performance and longevity. If you have money to burn and you want a light and powerful, the XPS laptop line is rated #1. As you might have heard on the news a large storm is headed our way here in New England. There are a few things you should check / do before the storm hits to make sure your technology works and you data does not get lost. 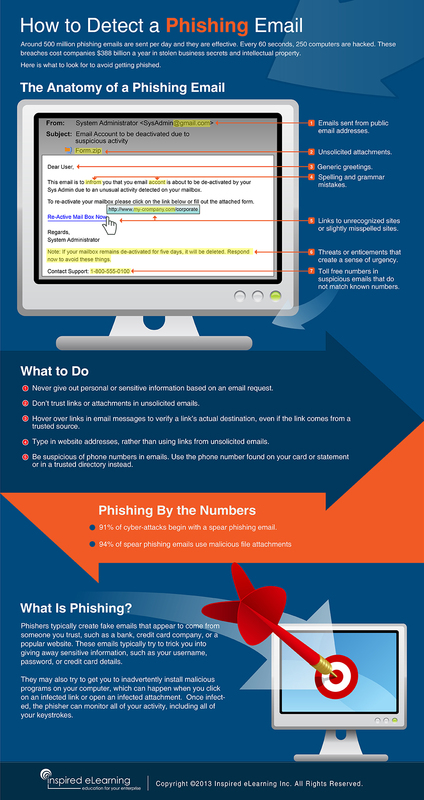 Before you leave for the day TURN OFF all devices (e.g., PCs, printers, scanners, copiers, etc.) Also, unplug them from the wall. If the power goes out the resulting surge when it is turned back on can overload that power strip you bought at staples. If you have a server(s) make sure you have a UPS between it and the wall. A good UPS can handle the surge and shutdown your server gracefully when battery power gets low. Following up on the previous item, if you do have a battery backup please check it to make sure the battery is working. Some have digital displays you can check, others lights (red = bad), and others you need to press a button. Make sure you have your data backed up. If it is backed up run a test restore to make sure it really is backed up and recoverable. If you do not have a cloud back up (e.g., tape, USB drive, etc). make sure the media is in a safe location not near the devices it has backed up in case of flooding, fire, structural damage. Get more info on cloud backups HERE. Your business may be closed for a few days so make sure you have remote access to your data (terminal server, Office 365, OneDrive, Google Docs, etc.) A storm like this is why cloud services like Microsoft Office 365 were designed for. Those monthly fees suddenly are worth it when your business can stay open (and make money) instead of being down for days. If your phone system can handle it reroute calls to your main number / emergency number to a cell phone so your customers can reach you. If you use Twitter, email your clients your Twitter ID so they may receive updates on your business if your company is having issues getting back in service. (We are @Wireguided). If you do need assistance getting your business back up you can reach us at our emergency # at 781-679-0660 x1. After coming from ten days on a farm in Ireland I though it would be a good idea to share what tools and tips a business traveler should know about before leaving on a business trip. Part 1 is all about the tools you will need. I will assume you are bringing a laptop. Notice I did not say POWER adapter. Many countries (e.g. Europe) use 22o volt outlets, which is not compatible with equipment made for the US (120 volt). However, 99% of laptops can be used on both voltages. Check the bottom of the power ‘brick’ that sits between the laptop and the outlet. Check the ‘Input’ field to see if it says ‘Input: 110-240V’. If so, you can use it overseas. You just need a way to plug it in. I use the Kensington Travel Plug Adapter. Unlike other power adaptors, it is one unit without multiple loose attachments. It is ugly, but works great. A softphone is just software that sits on your computer which allows you to make and/or receive calls over the Internet. Basically, your laptop becomes your phone. You may be saying “but I have a cell phone”. If your cell phone works overseas AND is paid for by your company, skip this section. If not, and you do not want to have a crazy phone bill, use a softphone. There are two options I recommend, Skype and Vonage. Skype allows free calls and 1-to-1 video conferences to other Skype users. For additional fees you can make/receive calls to/from regular landlines or cell phones. You will be provided a local US number for people to call. Vonage has a device called a V-Phone which is a little USB adapter that contains all the software needed to make and receive calls. It auto-installs when plugged in to the computers USB port which makes it great if you need a US number on any machine you will be using. The device costs ~$40 plus Vonage fees. The V-phone can also be used as a 250MB flash drive for storage. Pick up one of these drives anywhere (or here).It should contain backups of all your applications and critical documents you will need on your trip. Scan a copy of your passport as well. You would be wise to also put a file on it with all your emergency / business contact numbers. Feel free to throw some photos from home on it as well. Then, encrypt the flash drive and throw it in your pocket before you leave for the airport. Do not store it in your laptop bag.